Nombuyiselo Ntlane is the mother of Siphiwe Mahori, a 14-year-old who was shot dead on 19 January 2015 by Sheik Yusuf, a Somalian shopkeeper in Soweto. The murder triggered a wave of lootings and xenophobic attacks that made national headlines, attracting the attention of prominent political figures such as Winnie Mandela, who visited the family in the aftermath of the shooting and violence that erupted afterwards. 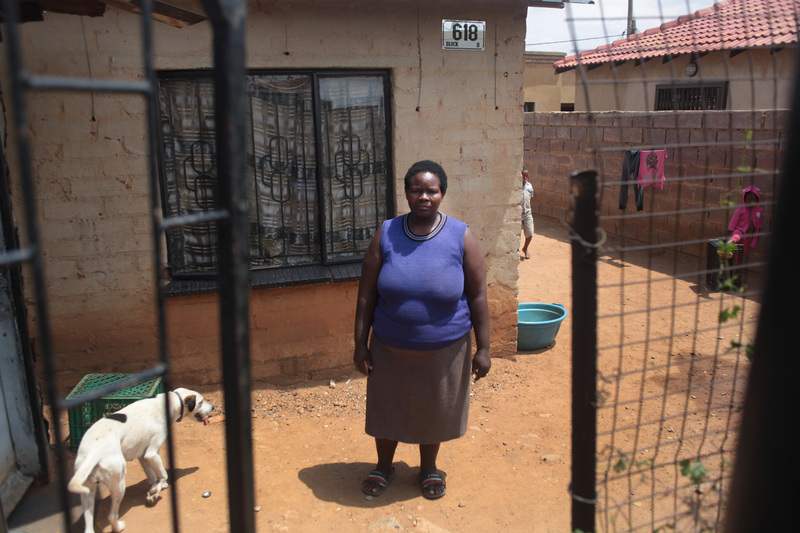 Ntlane lives with her husband Daniel Mahori, their two children, a cousin and three grandchildren in a three-roomed RDP house, a Reconstruction and Development Programme housing project that provides homes for poor families. 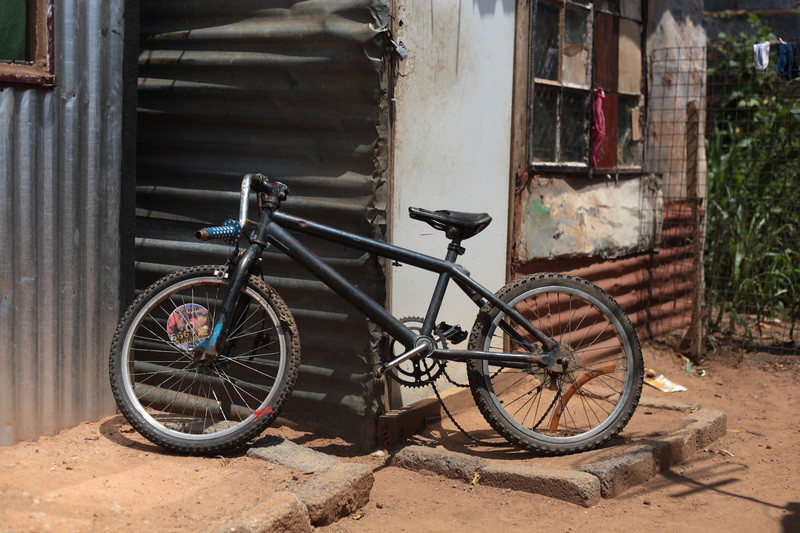 Ntlane and Mahori live in one bedroom, their oldest son lives in the other bedroom and the rest of the children share a big couch in the area that serves as a living room and kitchen. Both are unemployed and survive by renting three one-room shacks in their backyard to a South African family and two Mozambican families; 14 people live in the yard, which is the size of the 18-yard box of a football pitch. Growing up, Siphiwe didn’t like to talk much. He was quiet like his father. He loved bicycles, especially fixing them. He loved working with his hands. He had faith in his hands because he could do everything for himself. Even in school, he was interested in learning about building construction and electric wiring. At the end of the year he asked me to buy him bricks and cement so that he could show me what he was learning at school. I had only bought the cement and was going to buy bricks but it ended just like that; he didn’t show me what his life was holding for him. He wanted to build a wall to make our front fence. He promised us that he would build that wall. He was telling me that when he was looking at this house, that it was not built properly. ‘How do you know, my child?’ I would ask. I could see that the work he did in school was really good. I always told him it was good that he knew what is right and what is wrong. Now the children he used to fix bicycles for miss him because the person they used to hang out with, someone they used to laugh with, is no longer here. Even when his father fixed the car, he would help him because he wanted to know how to do it himself so that he doesn’t struggle tomorrow. I guess you can say he was a mechanic. But there was an evil force out there who could see that tomorrow this child could be wealthy so it is better to remove him. And then it removed him. But we say it’s okay. It is only the Lord who knows. ‘Hao, Siphiwe is shot? Where did they shoot him?’ I asked. ‘The shop at the top!’ they said. We still didn’t know what had happened when my husband and I rushed to see him. We didn’t even know if there was hope that Siphiwe was going to survive because we live at a distance from the shop, and it must have taken a long time for the children to run to the house to call us and then run back with us. When we finally arrived, at first we couldn’t see him because there was a big crowd of people around him. Many people were just looking in. I think no one really understood what they were supposed to do to save his life. We found him sleeping on a bed of his own blood. Some people called the ambulance and they said it was on the way. We also called the ambulance and they said it would be on the way. In the meantime, we tried to protect him, to close the bullet wound with something. We used this red jersey I’m wearing; his father pressed it against the wound to close it or slow down the bleeding. We wanted to protect his blood. He was bleeding too much, losing too much blood. You see, the way the blood was coming out so fast, it was coming out like it was being pumped out. It was gushing out. And we tried to close it but it was already too late. The jersey was drenched and soaking wet with blood; it was more red. And we still tried and tried and tried. We called the ambulance again. We called many, many times. We phoned and phoned and phoned and they just said we are coming – but over 20 minutes later, we were still waiting for them. And then when we saw the police, we stopped them and asked if they could help us because my child was laying there and now he had lost a lot of blood. And so the police hurried to the police station to bring the ambulance. His father told him that help was coming. You could see that Siphiwe wanted to say something; we could see his lips moving like he was trying to talk but no voice came out. His father held him and told him that he was going to be alright. But while we were waiting for the police to fetch the ambulance, my child had lost a lot of blood … he gave up. It was the end, just like that. So I thought if maybe had we found help in time, my child was supposed to be alive because doctors would have known what to do. But they arrived late. Today I still can’t understand how he was shot at the shop at the top when I sent him to the other shop. I still don’t understand. I suspect the reason he was shot there could be because there might have been some kind of a fight at the other shop. There are kids who smoke nyaope, and they are often found arguing with makula. 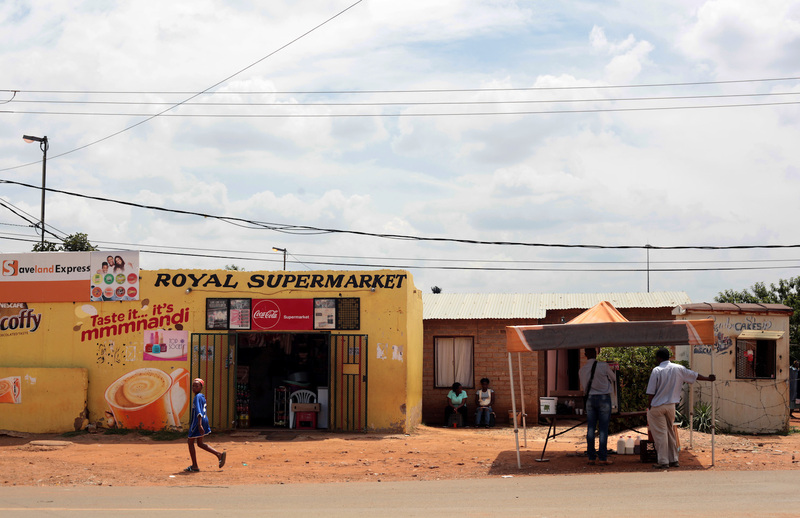 The nyaope boys loot their stores. They take things from their stores and run away, then makula chase after them and whenever they catch them that’s when they return whatever they took. You know, it must have been something like that. So when my child left the house he must have seen what was happening there is not right and then maybe he must have decided to go to buy the Coke at the other shop. Maybe the shop owner told himself or thought that my son was another member of the nyaope boys who wanted to steal from the shop. In the past, there were also lootings and xenophobic attacks that took place in other parts of Johannesburg, and maybe he thought they were beginning to spread to Snake Park. Perhaps the shop owner thought that he was under some kind of an attack by the people outside. But my son wasn’t the person who came with those things, he was just a person who came to buy a cold drink. In fact, he was in front of the entrance so it should have been obvious that he was a person who came to buy. But the shop owner shot a bullet through the door and then it happened that my child was the one who was hit … I sent him to buy a cold drink, not to die. And then my child lost his life just like that. We lost our gift. Postscript: Following the shooting, Sheik Yusuf was taken into police custody and, according to court transcripts, he was charged with culpable homicide, possession of an unlicensed firearm and discharging the firearm in a public area. Weeks later, the 33-year-old was granted bail of R2 000. Yusuf told the judge that a mob outside of his shop was trying to break in and he shot to defend himself. No witnesses were called, despite one witness having been mentioned during the proceedings as shot during the incident and in hospital. In the court transcripts, the family was not mentioned once in any of the official proceedings. In September 2015, Yusuf pleaded guilty to all charges. The judge ruled to wholly suspend the sentence for culpable homicide and possession of an unlicensed firearm, and dismissed outright the charges of possession and discharging a firearm in a public area. Sheik Yusuf served no jail time. The shooting incident which led to Siphiwe’s death made national headlines, hurling the country into another wave of xenophobic violence. But the final ruling on the case received virtually no media coverage.